A bibliophile is a person who has a great appreciation for or collects books. The warmth of her smile, and the rich aroma of banana bread greet you as you cross the threshold of her home. She graciously welcomes you into her living room. She invites you to take a seat on the brown leather sofa. Before turning to pour two mugs of steaming black coffee, she lights a single candle in the brass holder, and you feel enveloped in the gift of her hospitality. While you wait, you take in your surroundings. Surrounded by antique pine furniture, you can't help but marvel at the exquisite art displayed on the walls. You breathe deeply, relax, and feel you could easily stay here a week. Your eyes land on an empty wingback chair, which stands like a sentinel awaiting the return of its frequent occupant. And beside the chair—piled high—is a daunting stack of books of varied shapes, sizes ages, and colors. Little do you know, but your hostess will likely read aloud from one or two of these volumes in the course of your visit together. This entire encounter holds great promise. You have just been ushered into the life of my dear friend Diane, an authentic bibliophile. A bibliophile is a person who has a great appreciation for or collects books, and this definition is an apt description of this woman, who is a passionate Follower of Christ and lover of great literature. Furthermore, Diane doesn't just read books, she devours them. Her eagerness to consume the words on a page is matched only by her desire to share what she has learned with others. With a genuine interest in your well-being, my friend relishes the opportunity to quote, discuss, or review literary works. She particularly gains pleasure in actually placing one of her books into your hands for your own perusal. To broaden our own reading horizons, Diane has provided for us a compilation of her treasured resources. I have read many wonderful books over the course of my life... But those listed below have, for one reason or another, deeply impacted my life. 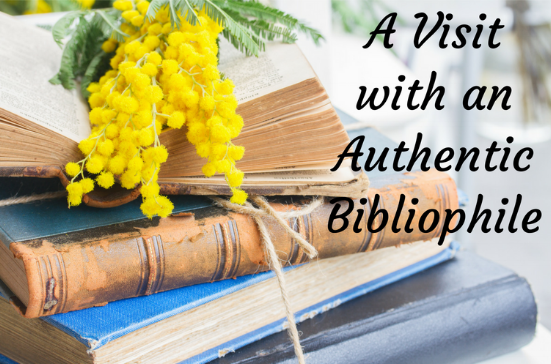 How has God used books to enrich your walk with Him? Do you find a personal favorite on the list above?